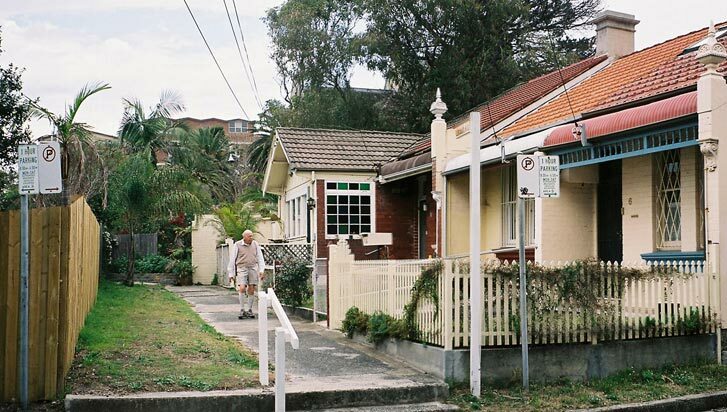 It's one way both ways in Lamrock Avenue, Bondi Beach. 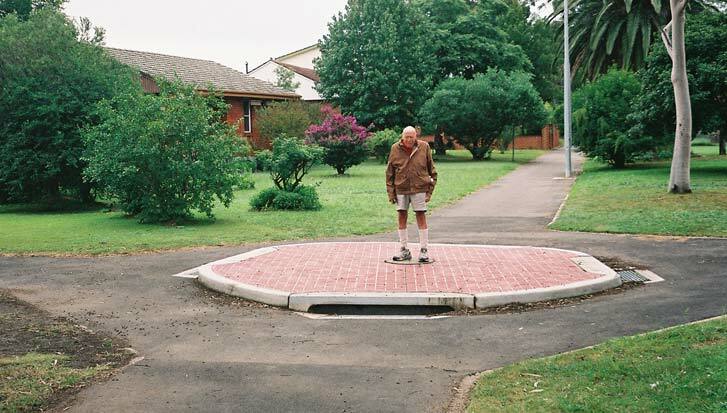 Here’s our nomination for the world’s tiniest street. 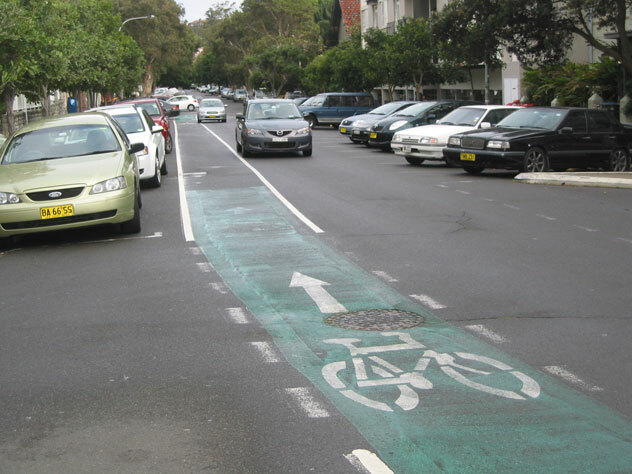 This is the whole of Lipsom Avenue, Bondi Junction. The entrance here is by steps, or you can try the far end by clambering over bricks and bushes. In Bronte, Chesterfield Parade starts at Waverley Cemetery; its archway of trees shows new life as the branches stretch heavenwards. 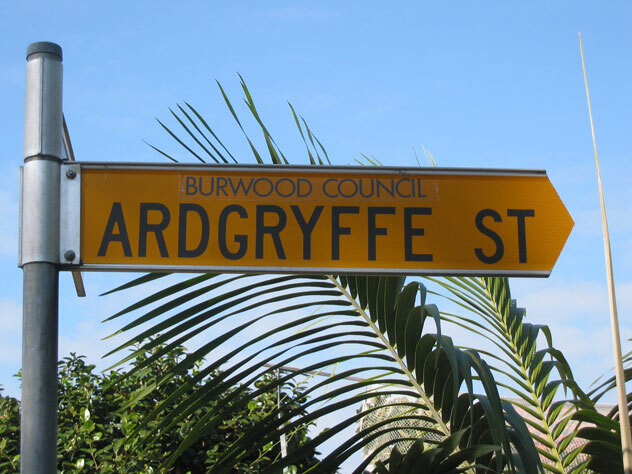 Does Ardgryffe Street, Burwood Heights, hold a record for seven consecutive letters without any vowels a, e, i, o and u? Cartwright’s main intersection. Traffic lights should be installed any day now. 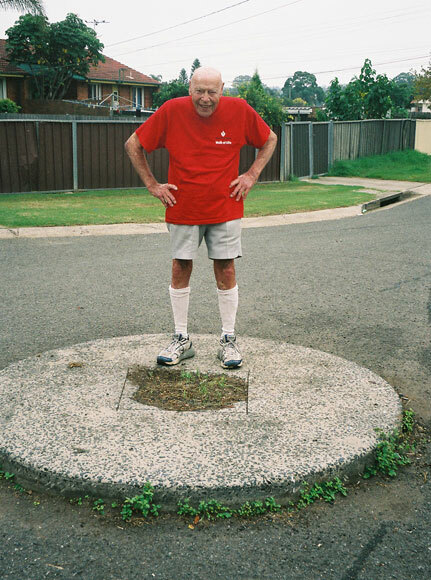 So many side streets in Cartwright are short and narrow, and climax with a giant's saucer. The streets are so similar that you keep thinking "I've already walked this one." 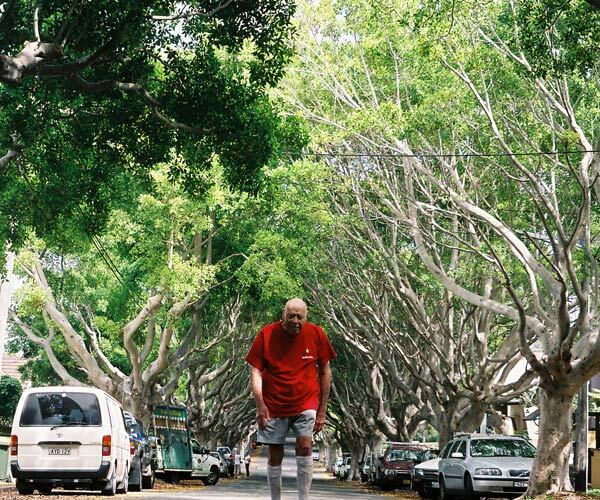 Ambling down the centre of Hoxton Park Road, Cartwright. OK on Sunday morning at 6.30. 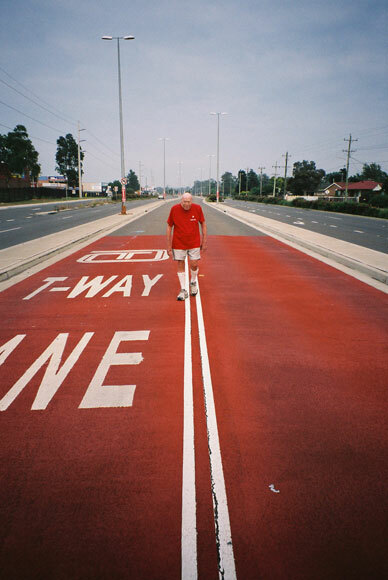 Not strongly recommended for Monday to Friday peak hour. 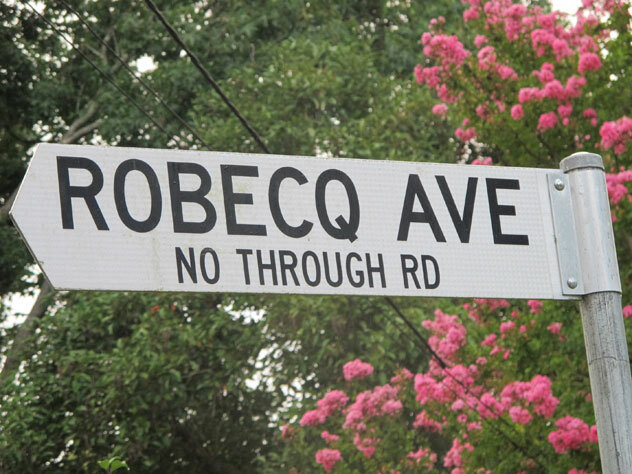 We bet you a billion to one Zimbabwe dollars that your suburb doesn't have a street name ending in Q like we have in Cheltenham. Ending in CQ is even better. 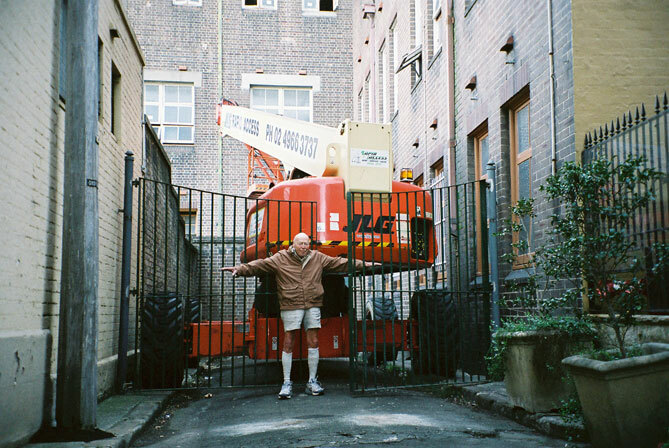 Blackfriars Place, Chippendale: I’ll ask the crane driver to move over to one side for me. 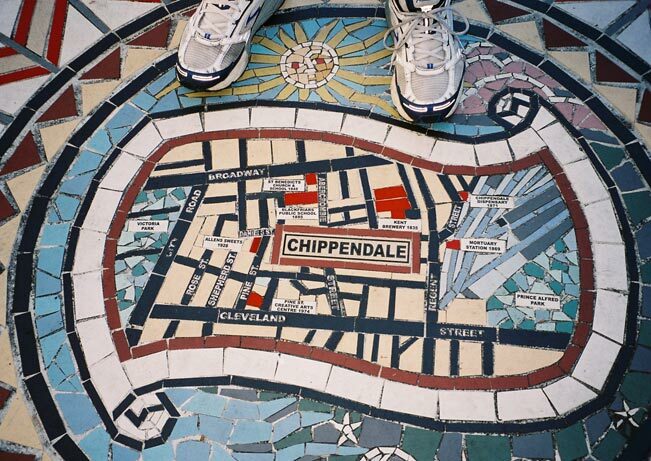 Stepping into history in Myrtle Street: you can learn about Chippendale's early days as you walk this inner Sydney suburb.